With the First Folio's arrival on campus comes a bevy of Shakespeare at Emory events in honor of the Bard. Arts at Emory also presents a variety of film screenings, dance performances, literary readings and music events to keep your November schedule packed. Emory’s long wait for Shakespeare's First Folio ended Nov. 5 with the arrival of the Folger Library’s touring exhibition “First Folio! The Book that Gave us Shakespeare,” on view in the Michael C. Carlos Museum through Dec. 11. 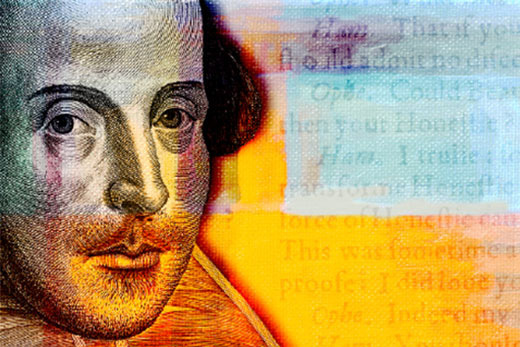 With the Folio comes a bevy of Shakespeare at Emory events in honor of the Bard. Along with Shakespeare at Emory’s November lineup, Arts at Emory presents a variety of film screenings, dance performances, literary readings and music events to keep your fall schedule packed. For a full list of November events on campus and to purchase tickets, visit the Arts at Emory website. Film and Media Studies' fall Emory Cinematheque series, “Drawn to Film: From Comics to Cinema,” continues every Wednesday at 7:30 p.m. in White Hall, room 208. The series concludes this month with free screenings of “300” (Nov. 9), “Captain America: The First Avenger” (Nov. 16) and “The Peanuts Movie” (Nov. 30). Theater Emory presents Shakespeare’s “Romeo & Juliet,” directed by John Ammerman, through Nov. 13 in the Mary Gray Munroe Theater. Tickets are available online at arts.emory.edu. In addition, Theater Emory presents staged readings of three Shakespeare-inspired plays including Barbara and Carlton Molette’s “Fortunes of the Moor” (Nov. 19 at 7:30 p.m. in the Theater Lab of Schwartz Center for Performing Arts) and alum Lauren Gunderson’s “The Book of Will” (Nov. 13 at 3 p.m. in the Carlos Museum's Ackerman Hall). Both readings are free and open to the public. “Will of the People: Shakespeare’s Folios and Their Meaning in Our World,” set for Nov. 10 at 7:30 p.m. in the Schwartz Center for Performing Arts' Emerson Concert Hall, addresses the many ways artists and thinkers interpret the continued influence of Shakespeare in our world through dramatic monologues, musical expressions and academic perspectives. Grammy Award-winning jazz drummer Antonio Sanchez plays his acclaimed score live alongside the visually stunning 2015 Oscar Award-winner for Best Picture in “BiRDMAN LiVE,” Nov. 11 at 8 p.m. in the Schwartz Center for Performing Arts. Tickets can be purchased online at arts.emory.edu. Prose writer Percival Everett visits campus as part of the Emory Creative Writing Program Reading Series on Nov. 14 at 6:30 p.m. in the Oxford Road Building presentation room. Another reading with Emory faculty member, prose writer, playwright, and screenwriter Joseph Skibell, will take place in the Jones Room of the Woodruff Library on Nov. 16 at 6:30 p.m. The Emory Dance Company presents its fall concert, “Near and Far,” Nov. 17-19 in the Schwartz Center for Performing Arts. The concert features new works by five guest choreographers: New York’s Dante Brown; Israeli artists Yossi Berg and Oded Graf Dance Theatre, and Anat Grigorio; and Atlanta’s extraordinary Sarah Hillmer and Blake Beckham. Tickets are available online at arts.emory.edu. The Atlanta Music Festival Gala Concert concludes the week-long Atlanta Music Festival Nov. 18 at 7 p.m. at Glenn Memorial Auditorium. This event features opera stars Jessye Norman and Timothy Miller along with the Vega String Quartet, the Spelman and Morehouse Glee Clubs, the Meridian Chorale, and narrator Taylor Branch. Tickets are available online. The Emory Wind Ensemble and Emory University Symphony Orchestra share the Emerson Concert Hall stage Nov. 19 at 8 p.m. in a special joint concert featuring both orchestral and wind repertoire, including a performance by the 2016-17 Concerto and Aria Competition winners. The Emory Jazz Ensembles close out the month as the Emory Big Band and Jazz Combos join in concert Nov. 29 at 8 p.m. in the Schwartz Center for Performing Arts.